Booth #121659 - The KeTop T150 has a capacitive touchscreen that can be operated as a true multi-touch and thereby scores with its intuitive usability, maximum ergonomics and best user experience. KEBA works on new developments and industry solutions with the objective of creating sustainable competitive advantages for its customers. For 50 years, KEBA has been developing and producing according to the motto “Automation by Innovation” by creating innovative automation solutions for a wide variety of industries. With KeTop, powerful, application-optimized hardware and software are available - future-proofing is thus guaranteed. Step-by-step customizing and comprehensive advice on all aspects of visualization allow maximum differentiation of your HMI solution. Visualization challenges are extensive. 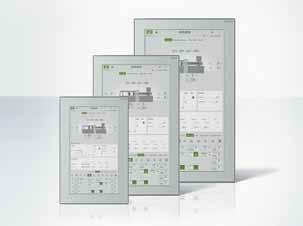 Ergonomics and an intuitive user interface are key factors for efficient operator control and monitoring. At KEBA you will find the right operating solution for every application as a complete package without additional investment. 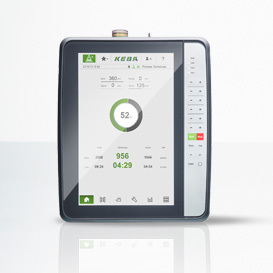 The KeTop T150 has a capacitive touchscreen that can be operated as a true multi-touch and thereby scores with its intuitive usability, maximum ergonomics and best user experience. The new AP500 KeTop Panel line offers robust gesture operation by a industrial multitouch with integrated touch booster for glove use. The RealTime Multitouch is capable of transferring real-time user interaction via EtherCAT or ProfiNet directly to the controller. Many mechanical components and membrane keys are thus a thing of the past. Hope is to educate the market place on our new products and find companies to partner with on improving their product offerings. You are in Chicago so you must have Aurelio's Pizza on Michigan ave and a Chicago style hot dog…no ketchup is allowed and fines may apply for adding it!!! !